I recently purchased several FSDT airports for FS9, KORD, KDFW, KLAS, KLAX. When launching FS9 with Addon manager installed, FS9 will open the first time after installing Addon manager but any subsequent attempt to launch FS9 will not succeed. There is no crash recorded in event viewer, no error message of any kind is displayed. I have uninstalled all FSDT addon scenery and reinstalled only one scenery at a time for testing purposes. The problem manifests itself regardless of which particular FSDT addon scenery is installed. Removal of all FSDT addon sceneries without removing the Addon manager still results in the described behavior. If I then manually delete bglman.dll the sim launches normally. Therefore, the problem only manifests itself when Addon manager is present and active in FS9. I have added an exception to the FS9 directory in my anti-virus software as well, with no change in results. A silent quit with no errors it's usually caused by a mix-up of old/new files, as if the installer couldn't update everything. This is usually caused by the antivirus, which must be disabled even while installing, in addition to have an exception for the FS9 folder. I have followed your instructions and completely disabled my anti-virus software before attempting to reinstall an FSDT airport (in this case, O'Hare). The installation completed and I was able to launch the sim once without error or crash, but after closing the sim and re-opening the previously described behavior is still occurring. Attached is a screenshot showing my AV software being disabled. The installation completed and I was able to launch the sim once without error or crash, but after closing the sim and re-opening the previously described behavior is still occurring. - The software is working correctly, because the sim didn't crash. - The antivirus is still mistakenly blocking the software on the 2nd run, which explains why it cannot start on the 2nd run. And yes, some antivirus are so bugged, that they still block things even if the APPEAR to be disabled: I witness this first hand on an user's system. Which is why, I said it's not enough to just disable it while installing, but you MUST add the FS9 folder to the antivirus exceptions list. Thanks for your rapid resonse. My anti-virus software has been configured to exempt the FS9 installation folder. This setting has been present for the past 15 or so FSDT airport installation attempts. The AV software was disabled during the most recent round of troubleshooting. Short of a completely malfunctioning AV software which does not respect these settings whatsoever, the AV cannot be at fault here. Short of a completely malfunctioning AV software which does not respect these settings whatsoever, the AV cannot be at fault here. 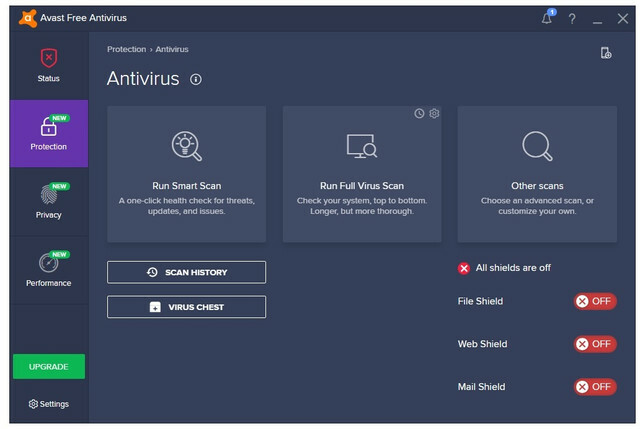 That's exactly what I said I personally witnessed on an user's system: the antivirus was still blocking files, even when it was disabled in its settings, and even when it excluded the whole folder from scanning. And, in addition to that, it blocked files without any warning: the only way to know it was blocking files, was to check the antivirus *log* (not even the quarantine, there weren't there either). - the antivirus didn't block the file on the first run, but it blocked or changed it (trying to "heal" it from a non existing virus), and this will result in precisely the sim quitting on start with no errors on the next startup. Thanks for your comments. You mention another user who had the same issue I have-was there a solution/work around with the ani virus?? Switch to a more reliable antivirus, one that didn't block files without any warnings, and that respected the exceptions. ok-Thanks for all your support! I am going to follow up on your comment plus conduct further "experiments" of my own to attempt to resolve this issue. I notice some 158 folks have viewed this initial/thread post-so, there is considerable interest here! !